We have a Seasonal Present from Neighbourhood Watch! 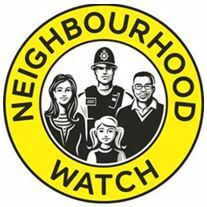 New features on the site include links so you can contact the committee member representing your region of Neighbourhood Watch in Wiltshire and, if you know people who want to join Neighbourhood Watch, a new quick sign up form which replaces the long form on the old site. Why not visit the site soon and have a look around? Please provide feedback on the new site through the committee member for your area whose details can be found by clicking the map on the Home Page. Meantime may we wish you Seasonal Greetings and a very safe 2019.